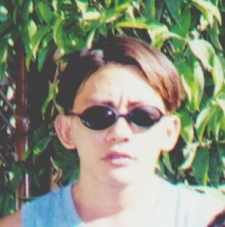 My father died last February 3, 1998. 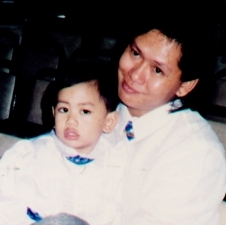 He'd been sick of cancer and suffered for almost a year before he finally bid farewell to this cruel world. But even if we were all aware of what was going to happen, his death still came to us like a shock. It was painful because we did everything to add more years to his life, we prayed so hard and expected a miracle, a lot of things made us hopeful inspite being aware that cancer was a tough enemy. Well, I still believe that God's plan must be revealed in every person's life. We miss him. My mother is one of the strongest persons who lives on earth. To me, she's the best and I love her more than I love myself. I would like you to meet my brothers and sisters too. 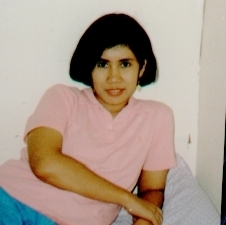 You'll be able to see more pictures of my family and close relatives at the cyberhomes of my sister and my niece Donna. I've linked theirs to mine. I'll be working on these pretty soon. 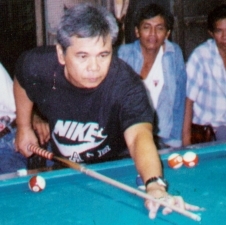 My father was a very good billiard player. My brother Jun and his son, Arju..
My sister Ruby after a nap. 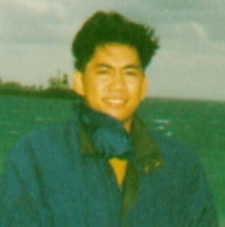 Jojo in Cavite last May 1998. 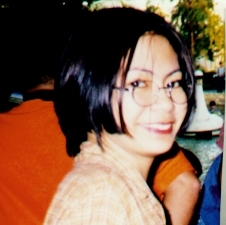 That's Mimi at Enchanted Kingdom last February 1, 1998. She has a cyberhome too. If you have time, drop in at http://members.tripod.com/~mhidonna/index.htm. It's very much under construction at this point.